Tracking your Work Order is an essential part of your business model. Timing and production levels can be easily tracked in the system. Functions are available to view your production Work Orders Promise Date, Status, Instructions, etc. The system provides additional options to filter your Work Orders. From the system's home page, click on the side menu. Click on the Open Full List. From the drop down menu, select Work Orders. On the Work Orders screen you will be able to review the status of your Work Orders. Select the desired work order or enter the Work Order number in the Search Work Order search box. The system will allow you to filter your Work Orders based on the parameters used. 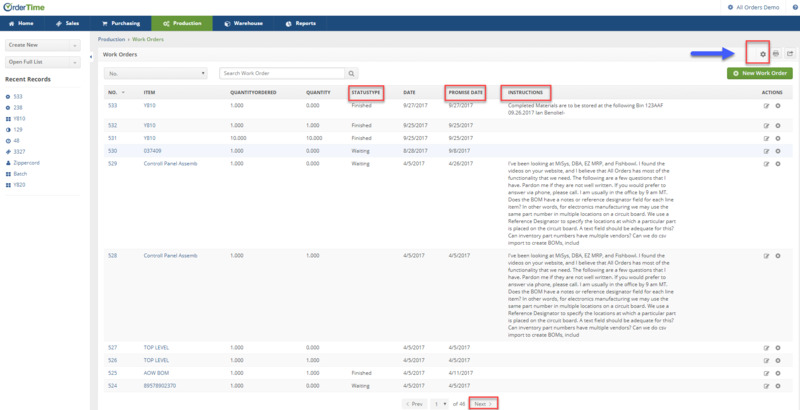 The List Option function is used to filter your Work Orders based on date, location, status, promised date, instructions, etc. Click on the Gear icon (Top right hand corner). When List Options window opens, click on the Filters tab. Under the Field drop-down, select a field that would best filter your work orders (i.e. Promised Date). Under the Operator, you can select a Date Range (i.e. month to date, this quarter, yesterday, last week, etc.). A second field can be selected to further enhance your search range. If you wish to reset your parameters to view all the Work Orders, simply click on Reset. Remember that once your have chosen a list of filters, they will remain active until you reset them. 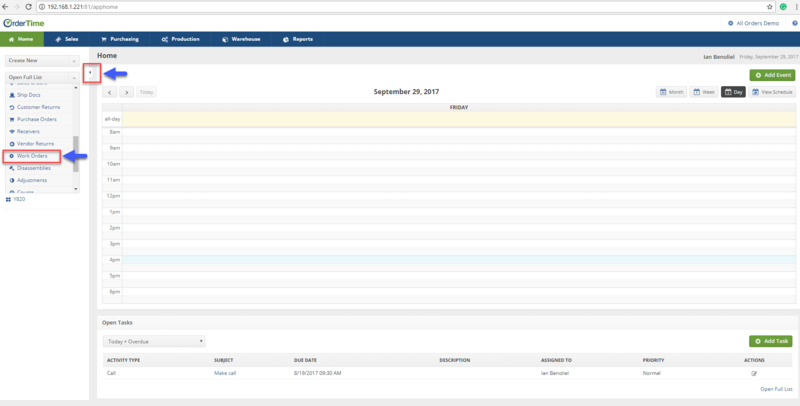 The Column tab can organize how your Work Order will be displayed on the main screen. 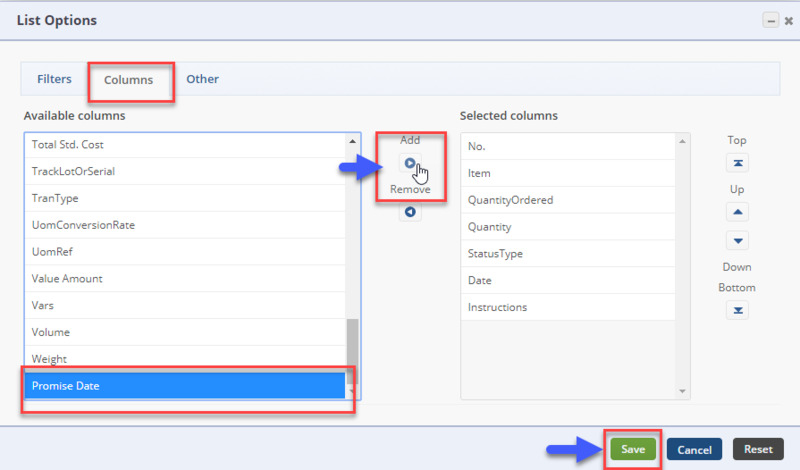 When the Columns tab screen opens, select from the list on your left and use the Add icon to move it to the Selected Columns. A report can be generated by clicking on the Printer icon next to the Gear icon which is located at top right-hand corner. To export your reports, click on the Export icon. Click on the View Schedule. Under Applies to, select Work Orders. On the calendar icon, you can select by Day, Week, and Month. Task can be viewed by clicking on the Ope Full List at the bottom right hand corner on the home landing page, under the Open Task section. The Activities screen will display all tasks for your team. You can search by activity type or by using the drop down menu.